The UE Roll 2 is fun. How do I know it’s fun? Look at all the press images on the side of the box. It’s gone skiing, bike riding, mountain climbing and rolling around in the mud with a bunch of attractive product models. Even more telling, the product ships with its very own miniature inner tube, which is a pretty fun thing to do. Also inside the box is a bright yellow USB cable and a pamphlet of legalese called “Bonus Material for Lawyers and Insomniacs.” Fun. The UE Roll 2 is also extremely brightly colored — and in the case of the orange and maroon and teal model Ultimate Ears sent us (Habanero, apparently), somewhat clashing so. But it’s certainly the kind of product that’s designed to get noticed. Though actually, design-wise, the product is pretty much identical to gen-one. It sort of looks like a big, bright Advil tablet with a cloth face sporting two big volume buttons — a plus and minus that look a bit like a crucifix when you squint. 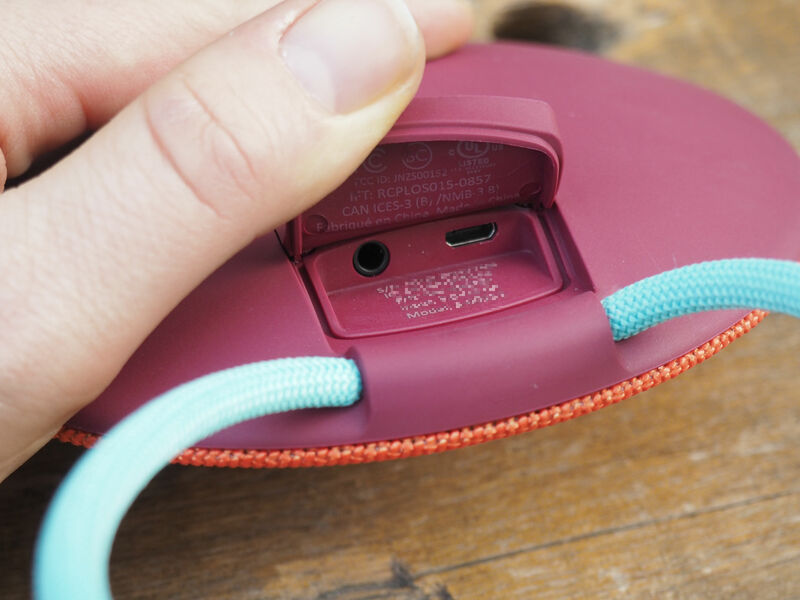 The bottom is a rubberized and ruggedized affair, featuring two buttons and a flap that houses the microUSB port and auxiliary jack. Next to that is a big bungee loop for hanging on a backpack loop, in the shower or, in the case of the press material, a carabiner hanging off the side of a cliff. The Roll 2 isn’t the most aesthetically pleasing Bluetooth speaker around (Exhibit A: The B&O Beoplay A1), but that’s not really the point. The speaker wasn’t designed to look nice sitting around on a desk or shelf (I mentioned the speaker ships with its own inner tube, right?). It’s designed to get out into the real world and get dirty in the process. That ruggedness is the speaker’s real strength. The Roll 2 is waterproof, dust proof and designed to take a bit of a beating. Naturally, I tossed the thing around the office a bit, just to make sure. It came out unfazed. The sound quality on the Roll 2 is fine. I’m probably a little biased having tested out that new B&O speaker yesterday. This isn’t that. But again, UE’s device serves a somewhat different purpose — and at $100, it retails for $150 less than the A1. The sound isn’t bad, it’s just not as rich and full as you’ll find on other pricier units. It does get loud, however — 15 percent louder than the previous generation, according to the company. At those volumes, things can get a bit distorted. I wouldn’t recommend it, but there’s certainly something to be said for top volume when using the product outdoors. The other big improvement this time out is range. 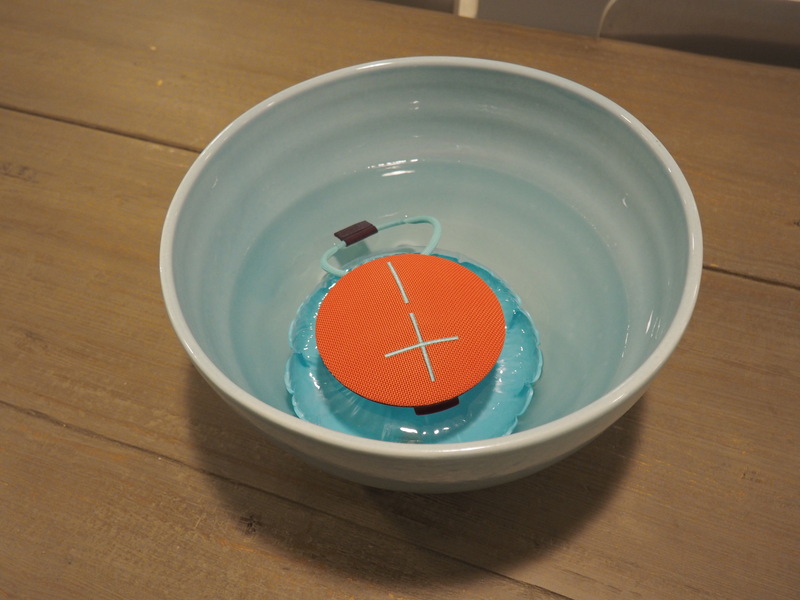 The product now operates at an impressive 100 feet away from its source, so you’ll be able to use it without risking accidentally dunking your iPhone in the pool. 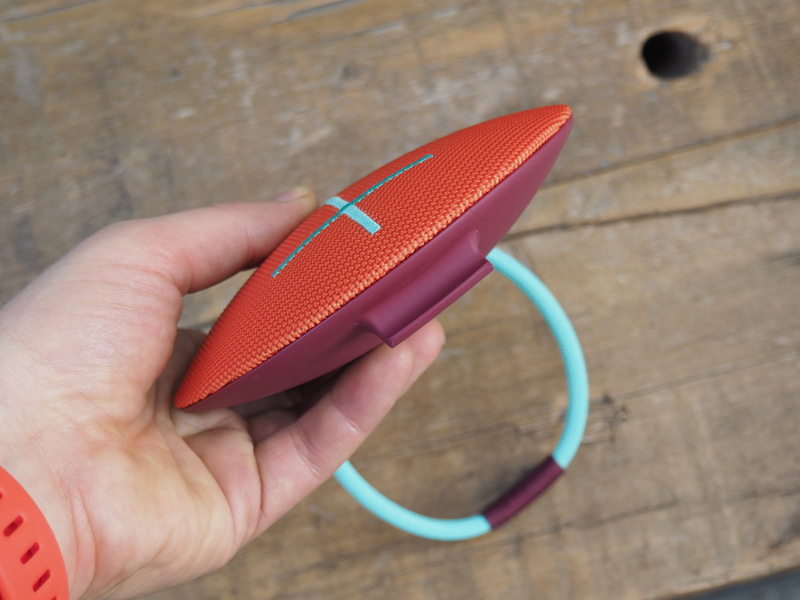 All in all, none of the improvements over the first unit are major, but they do help the device maintain its standing as one of the Bluetooth speakers best equipped to handed whatever the great outdoors throws at it. And the inner tube certainly doesn’t hurt.